When I knew I'd be Philadelphia bound this summer, I knew I wanted to make the most of the short time that I would be in the city. For help navigating where I wanted to eat, I turned to my trusty travel companion, Find Me Gluten-Free. From all the options the site had, I narrowed my focus to dedicated gluten-free businesses because there is no beating the peace of mind of dining without fear of cross contamination. 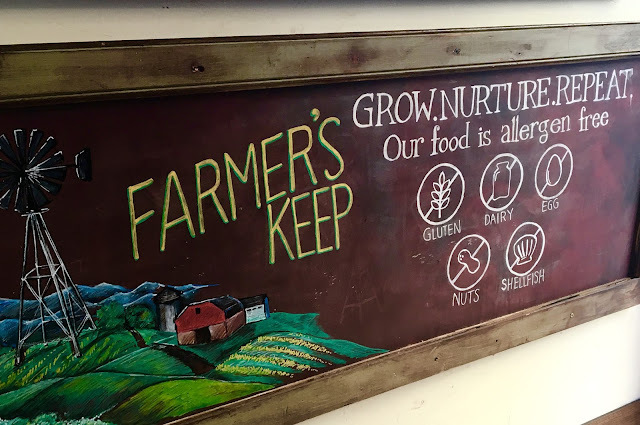 Based on reviews, I decided upon Farmer's Keep, a farm-to-table restaurant as my dinner destination after driving up from Baltimore that afternoon. Not only is this eatery free from gluten, but free from five major allergens, which totally overachieving in a spectacular way (more on that later). In the middle of the concrete jungle that is a major city, it is refreshing to find an eatery that strives to bring local, fresh fare to the people, and pairs their food with a focus on living well and sustainable urban initiatives. Wondering which allergens Farmer's Keep omits? The restaurant is 100% free from gluten, dairy, egg, nuts, and shellfish. 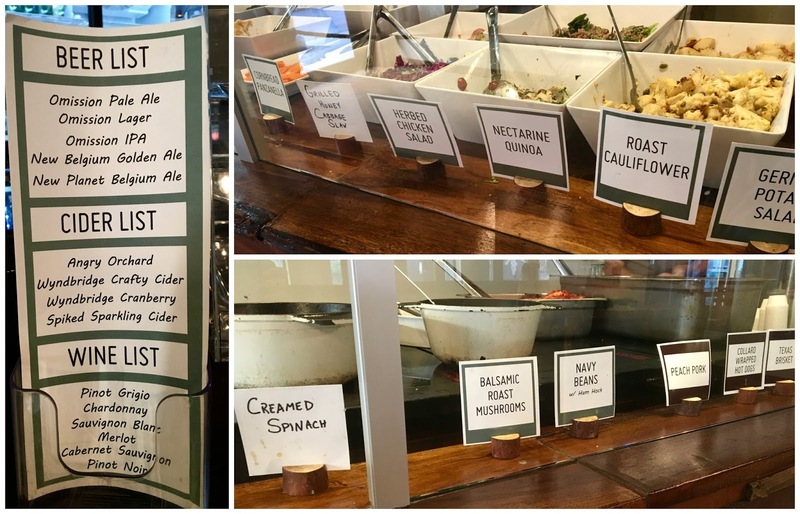 Other allergens and diet-sensitive ingredients, such as soy and honey are kept to a minimum, and the staff are knowledgeable the components of each prepared dish. 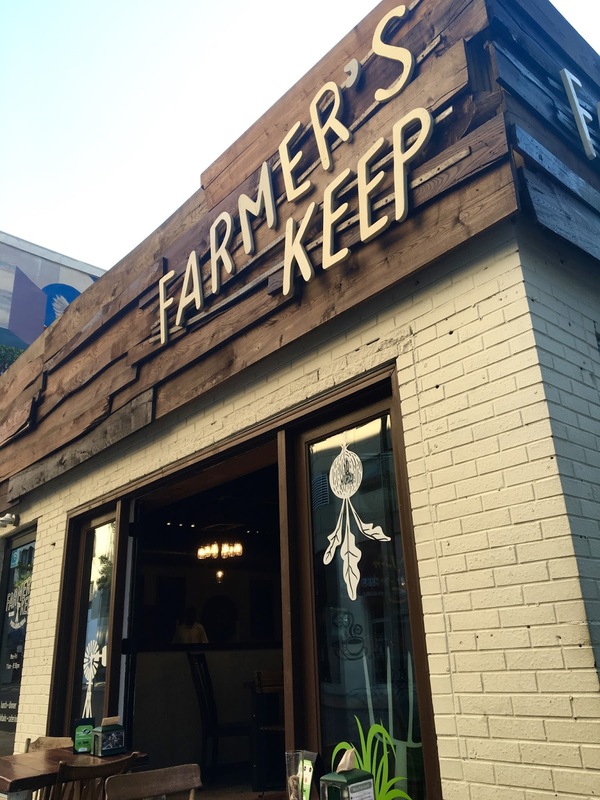 To describe the menu at Farmer's Keep, the inspiration is clearly American cuisine, but dependent on the freshest flavors of the season. The offerings change daily, and the menu is overhauled every two weeks to ensure there's always something new to try. 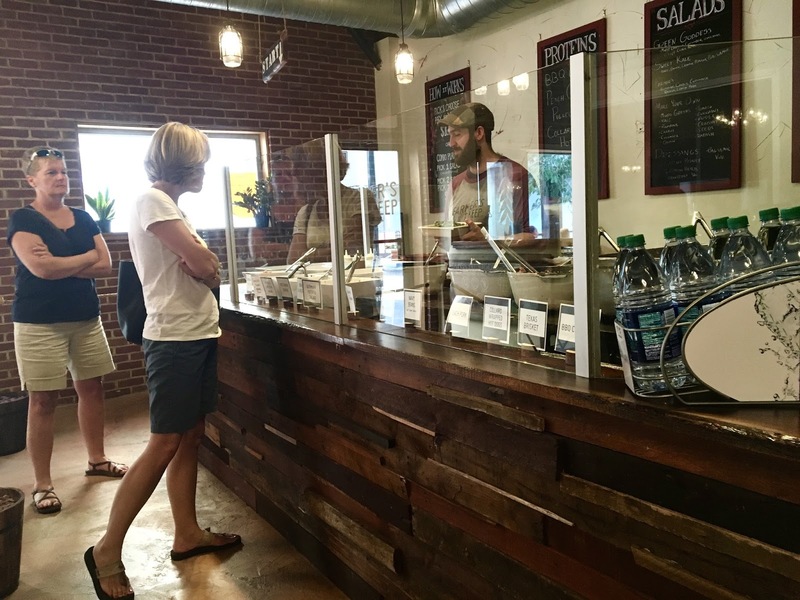 Ordering is done in two ways- the first of which is charging by the pound, for those who want to sample many different dishes, or in a preset ratio of one protein, one salad, and two vegetable sides for a set price ($10.95). Note: Omission is a gluten-removed beer made with malted barley. I opted for crafting my meal by-the-weight. I started with the Farmer's Salad, which featured shredded carrot, radish and cucumber over a bed of lettuce. The dressing was flavorful and bright without totally drenching the vegetables. The grilled honey cabbage slaw (top left corner of the plate) was my least favorite of the choices, not that it was bad, but I was not a huge fan of the flavor profile. 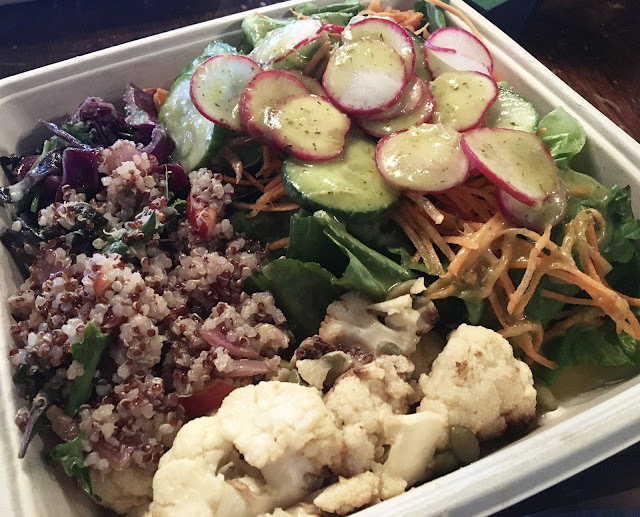 The nectarine quinoa salad was more my speed, as I liked the flavorful dance of tartness and sweetness with the plant-based protein of quinoa. My favorite on the plate hands down was the roasted cauliflower. Tender and juicy, the cauliflower was perfection, and I sorely regretted not devoting an entire half of my plate to the vegetable. I am definitely impressed by Farmer's Keep's devotion to good food and their mission to promote wholistic wellness. You don't find many restaurants that do that, and I definitely appreciated the plant-based power meal I had. The worker who assisted my family and me was really helpful and patient as he assisted us to navigate the options, and made a point of welcoming us to Philadelphia. Special Feature: Get Farmer's Keep delivered right to your doorstep through Eat24 (link here).